Are you looking for a Toyota Avalon in Laconia, New Hampshire? If so we invite you to visit our Toyota dealership near Laconia and browse the selection of new Toyota Avalon models in stock now. The Toyota Avalon is available as a XLE, XLE Premium, XLE Touring or Limited model. Compare trim levels, vehicle details, MSRP and color options by viewing our online inventory. Our friendly team of Toyota experts will help you take advantage of Toyota dealer specials, factory incentives and current lease deals on new Toyota Avalon cars near Laconia. 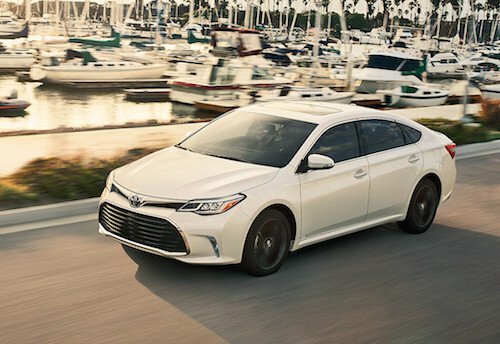 We can also help you find used car specials and deals on certified used Toyota Avalon models for sale. If you have any questions or would like a free quote on a Toyota Avalon near Laconia please contact us today.